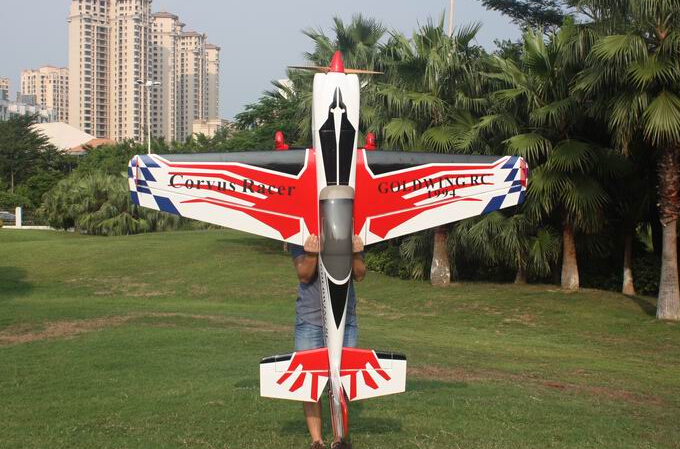 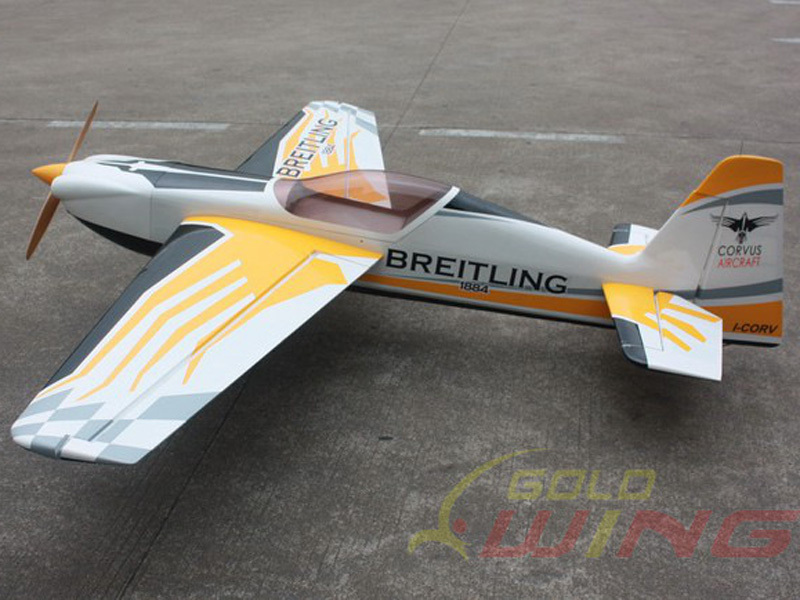 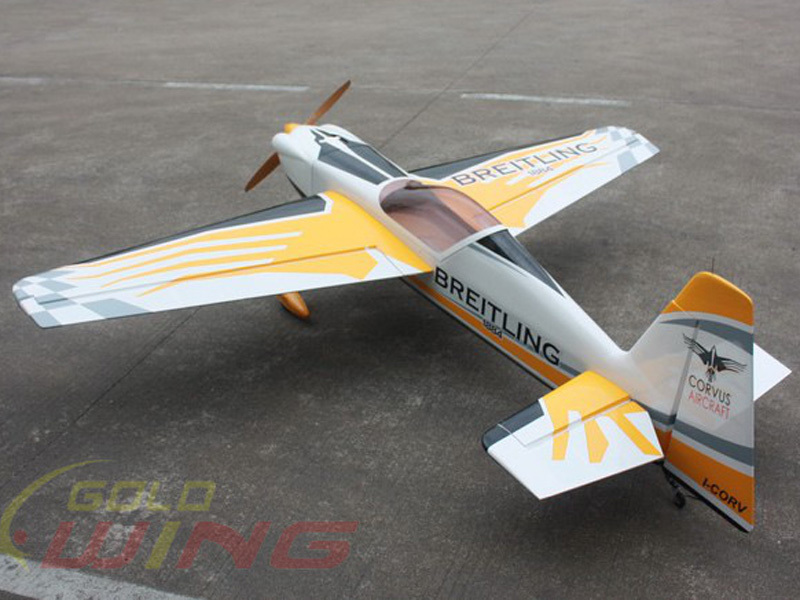 Wing span (spanwijdte) 2265 mm 89,2"
Gas engine: DLE55, DLA58, ROTO50 etc. 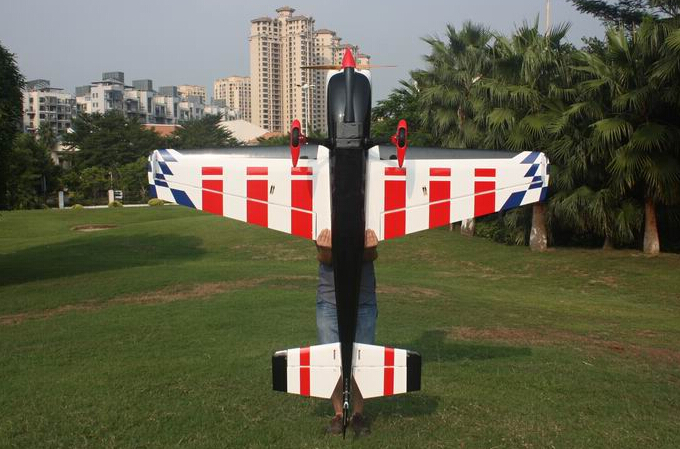 The model is covered with Oracover film. 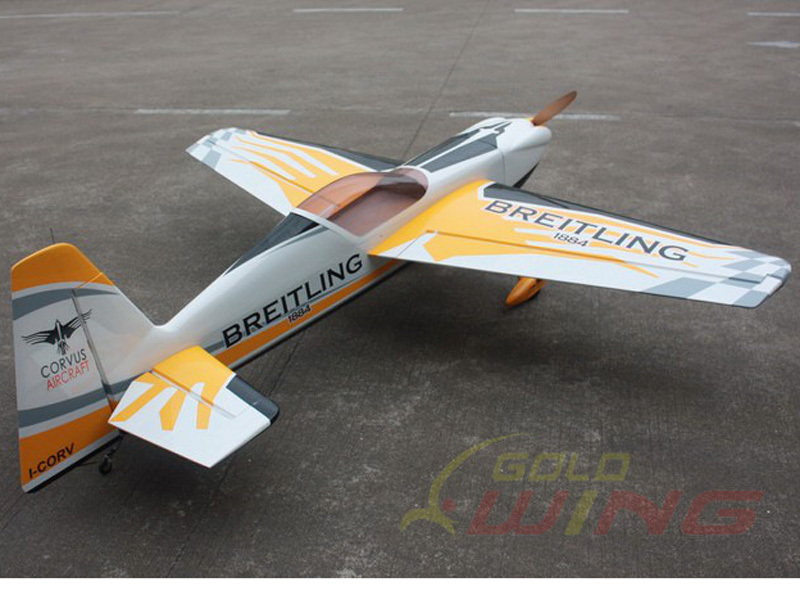 Goldwing RC now proudly offer the extensively upgraded “Extreme Series” versions of 91in CORVUS: Gas Extreme 50CC CORVUS Racer 540 V4.